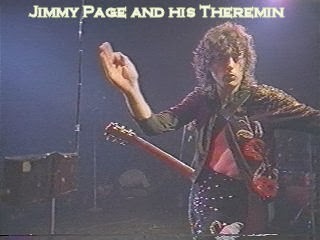 You've heard the spaced-out, eerie whinny of a theremin (or electro-theremin) before. 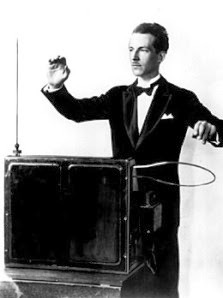 Leon Theremin, playing his instrument. Yowza. Not sure of the sound? Click the links for theremin samples in The Beach Boys' Good Vibrations, the soundtrack from The Day The Earth Stood Still, Portishead's Mysterons, Led Zeppelin's Whole Lotta Love and The Rolling Stones' Please Go Home. Even Star Trek's original theme song was sung by a soprano emulating theremin-like effects to lay down that weird, wiggly sound. This cuh-raise-zee instrument is played with no physical contact. 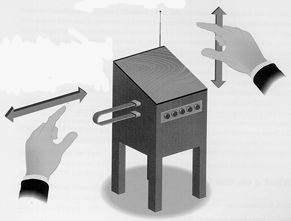 The musician gracefully moves his/her hands between two antennas to control pitch and volume. At first, I couldn't believe it was real. Every time I witness a theremin a-humming, I kind of freak out. a fusion of science and sound to the max. Check out this short Youtube video of Leon Theremin playing his own instrument. Watch his fingers stroke invisible strings. Bagonz! Wanna try? I totally do. 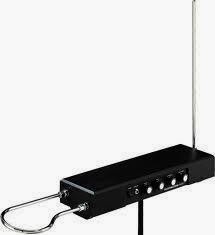 For that someday, would-be-theremin-ists can find instruments for sale online for about $200-300. Let's cap this awesomeness off with a fun finale. Have a quick gander at this dude playing Super Mario Bros. on his theremin. Shazam, brutha! Git it! Which instrument blows your mind most? Here's to wacky and weird, my friends. Got a whole lotta love for those good vibrations! P.S. 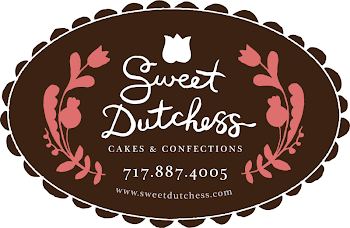 "Like" From My Hearth to Yours on Facebook here and stick around for updates, reader tips/comments and news.